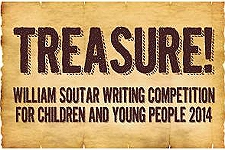 This is an annual writing competition for children and young people that alternates between poetry and short stories. For 2014 a short story on the theme Treasure! may be entered. Full details are available on the PKC website. Entries close on 27th November. This is an annual competition for primary school pupils in Perth & Kinross. FoWSS is able to provide classroom support to help children and teachers learn and recite in Scots. Illustrated texts are available for download below. 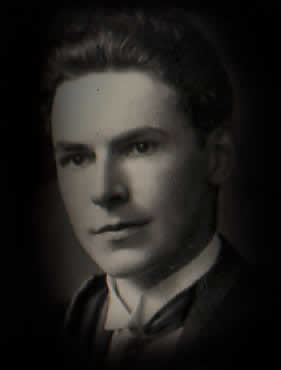 The competition is held in the Soutar House in October each year. For further details use our Contact page. This annual competition is open to all primary and secondary school pupils in Perth & Kinross. Classes include Scots verse speaking, unaccompanied Scots solo singing, accordion playing and fiddle playing. 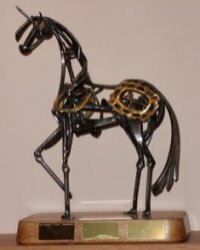 The Soutar Unicorn trophy is awarded for the best recitation of a Soutar poem. The event is held in February each year in the Soutar Theatre of the A K Bell Library. For further details contact the Secretary. Perform in Perth is an annual festival of music, speech and dance. Each year around 3,800 performers take part in the two week festival which opens in the second week of March. 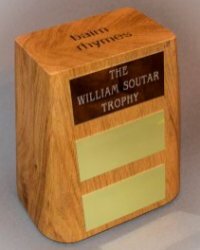 Over 400 classes of event are catered for, and the William Soutar Tassie is awarded for the best recitation of a Soutar poem. For further details contact the Secretary. 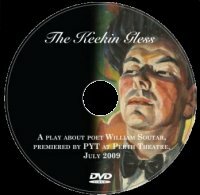 During 2010, the Friends distributed free copies of The Keekin Gless DVD to all private and local authority secondary schools in Perth & Kinross for use in literature, drama and history classes. Further information is available via the Glow website (the national intranet for Scottish schools), but note that access is restricted to registered users. Free DVDs are available to primary schools on application - please contact Education and Children's Services in PKC (01738 476376), or use our Contact page. 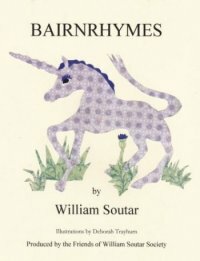 During 2012-13, the Friends compiled and illustrated a booklet of Soutar's Bairnrhymes for use in primary schools. The illustrations were kindly provided by Deborah Trayhurn. Click on the image to download the fifth edition in pdf format. 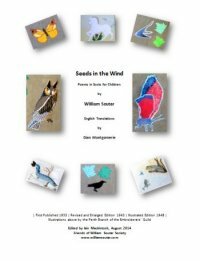 During 2014, the Friends compiled a booklet of Soutar's Seeds in the Wind in Scots and English for use in primary schools. The English translations were kindly provided by Dian Montgomerie. Click on the image to download the first edition in pdf format. 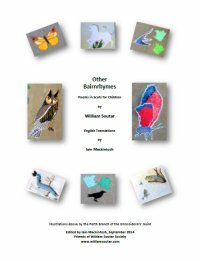 During 2014, the Friends compiled a booklet of Other Soutar Bairnrhymes in Scots and English for use in primary schools. The English translations were kindly provided by Iain Mackintosh. Click on the image to download the first edition in pdf format.